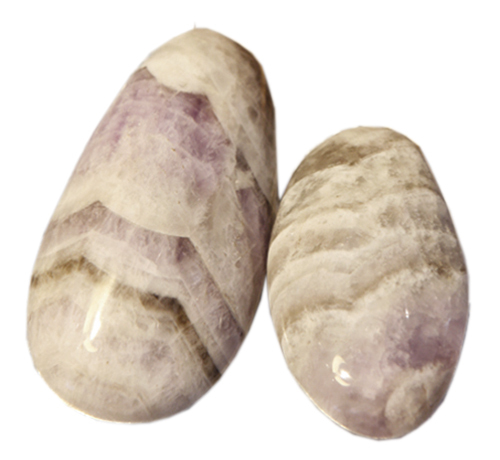 Chevron Amethyst are layered in purple stripes. 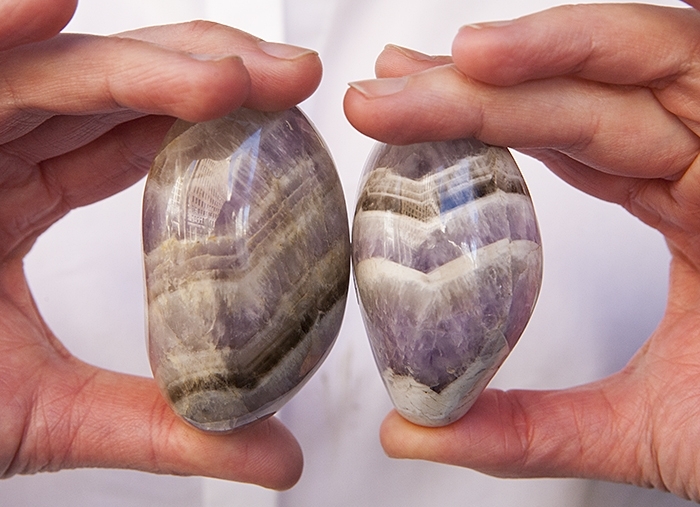 It has many of the same qualities as regular Amethyst, plus it reinforces and strengthens your inner guidance. This is the perfect crystal to hold when you want to enhance your intuitive powers. 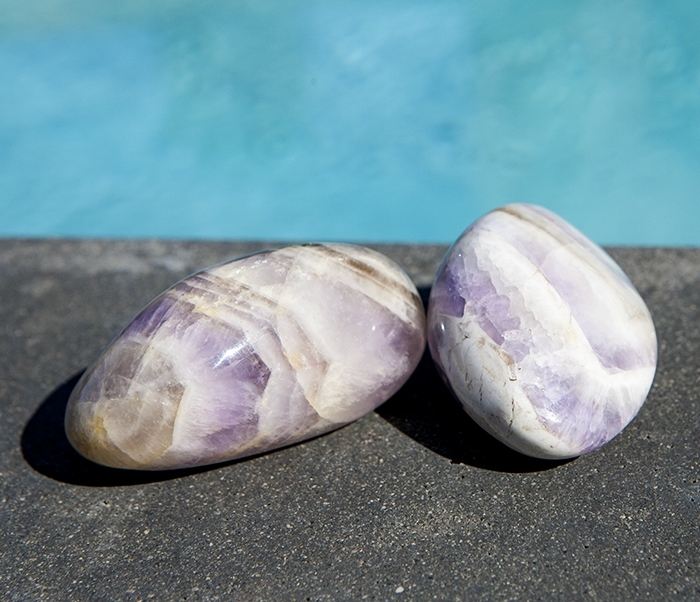 These are elegant pieces in the magical amethyst family and perfect for any space to enhance the energy. 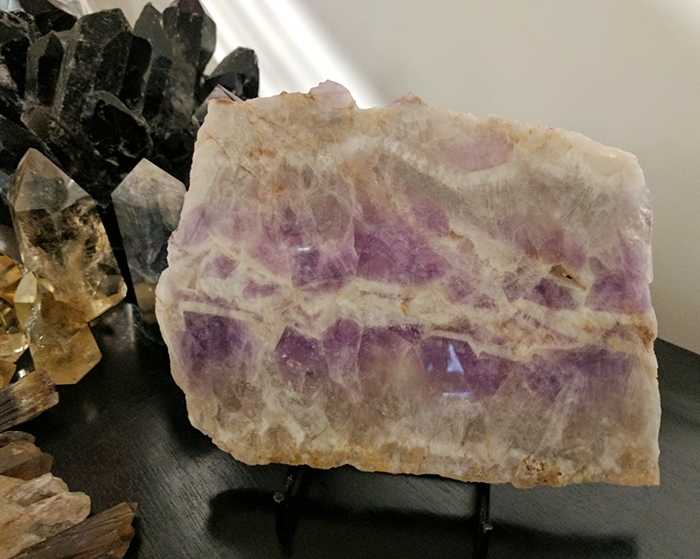 polished crystals in various shapes - 3"
I just picked up 1 sheet on stand - so beautiful - 8"x7"